Spencer Savings Bank, a community bank headquartered in Elmwood Park, raised more than $6,600 during the Making Strides Against Breast Cancer (MSABC) Walk held on October 19 in Ridgefield Park. 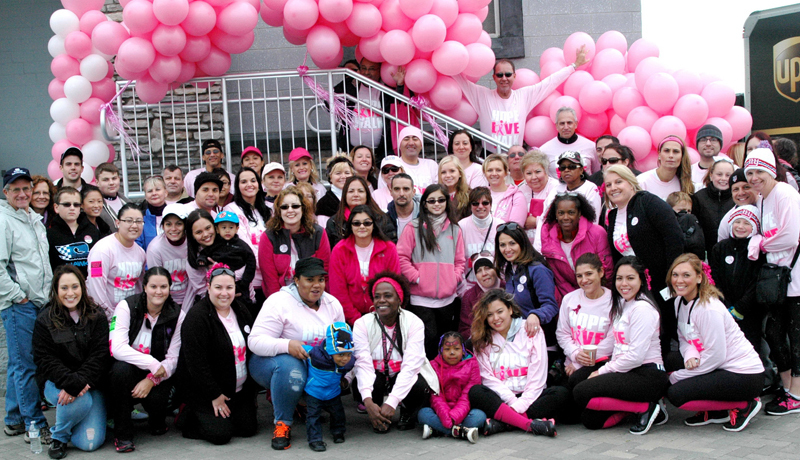 A team of more than 100 employees, family members, and friends of the bank walked to support the organization, which is the largest organizer of breast cancer awareness events nationwide. The bank was one of the top-three companies to raise the most money for this event. For Spencer, an eight-year supporter of the American Cancer Society’s Relay for Life, the walk and fundraiser was the first bank initiative specifically focused on breast cancer awareness. It was greeted enthusiastically throughout the organization, with pink ribbon pins and bake sales held at bank headquarters and local branches leading up to the main event. The Ridgefield Park walk was one of 300 such community events sponsored throughout the United States by MSABC, which aims to end the fight. Funds raised contribute to screening awareness and education campaigns, resources for those newly diagnosed or undergoing treatment, and critical breast cancer research. All told, more than $600,000 was raised during the Ridgewood Park event, which attracted 12,000 participants from throughout the region.